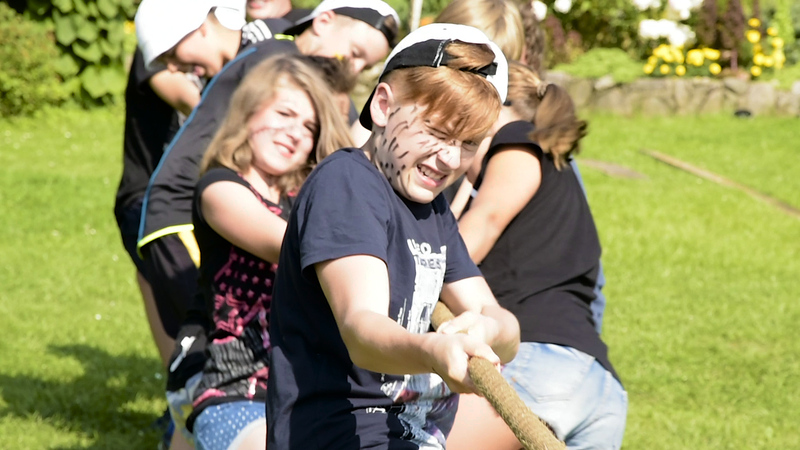 English Immersion American Summer Camp is run in July and August in “Camping Przywidz 20” in Przywidz, Poland. We structure our camp as one would find in the USA. We run a 10-day program packed full of new ideas, old traditional games, and give campers choices as to what they want to do. Our young campers are about 8 years old and oldest are about 16. We are together a lot but also separate our activities into three different age groups. We also offer job training to some of our oldest campers in hopes that they will one day be interested in becoming camp counselors themselves. On day one many of the children may not feel completely comfortable speaking English. By day 10, they can’t stop talking about how much they love the camp. And they talk about the camp in ENGLISH!